Here’s the Reality: The National sales Manager has no clue or cares about who you are. The VP of Marketing has no clue what remarketing is and has no clue what the auction does and those 5000 associates can’t do anything without the manager of their manager of their manager making a decision. I admit, it would be far easier to travel the country telling prospective clients, that our brand new remarketing system will predict earthquakes and the exact time and place JESUS will be in Dallas to buy cars (which he’ll overpay for). Many within the automotive remarketing industry hate post/blogs like this. Because, there’s no secret sauce, magic computers and those 5000 employees are often being paid next to nothing, so VP’s and Presidents can drive expensive cars and dine on your dime. OK, Bill, what does a Mark Twain quote about life have to do with automotive remarketing or anything you’ve said? 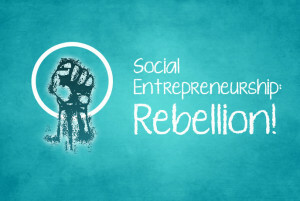 Many years ago GSF Remarketing adopted *Social Entrepreneurship as our measure of success. Because people need help not a boot on their throats! Yes, repossession and remarketing are necessary, but in that necessity others’ humanity and dignity should not be discarded for profit. *Social entrepreneur A person, who pursues an innovative idea with the potential to solve a community problem. These individuals are willing to take on the risk and effort to create positive changes in society through their initiatives.